Manaslu trekking is another popular trekking routes in Nepal. Mt. Manaslu [8163m] is one of the eight highest peaks in the world, located near the border of Nepal and Tibet. Manaslu was opened for the trekking purpose only in 1990. The name Manaslu means, the spirit-mountain, the local dialects refer it to be the benevolent and strong deity that dwells within. It is one of the most visited and liked trekking trails, since the trail offers superb views of majestic mountains, beautiful landscape,waterfalls, monasteries, hot spring. This trek suits to the very beginner trekkers to the adventure trekkers. The lower Manaslu trek up to Jagat needs no permit. Rupi Na La Manaslu trek is adventure trekking route and so as Tsum Valley Manaslu circuit trek are the major trekking routes in the Manaslu region. Manaslu trekking starts at lower altitude and gradually ascends, the adaptation of body with oxygen level enables your body good acclimatization so there is less likely of getting altitude sickness as in the Everest region. Everest region trekking starts at 2800 m at Lukla and there is not enough time to acclimatization so many cases of altitude sickness happens. The Manaslu trek also important from the viewpoint of exploring the monasteries. Lower belt of the region is inhabited by Gurung and other communities. And in upper belt of Manaslu region the Tibetan dialects Buddhist people live. The Manaslu circuit trek is very popular trekking routes in the region and this trek can be combined with Tsum valley trekking. 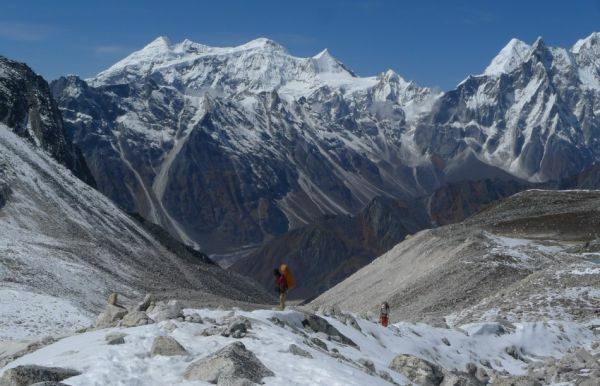 7-8 days extension in total trekking days on top of Manaslu circuit trek covers the Tsum valley trek in the same time. Tsum valley is recently came into light among the trekkers. And this trek follows the same route up to Philim and and from near by Philim the trail separates for a week and the trails come back to the same point after exploration of Tsum Valley and the trek can be contined to Sama gaun and Larke pass. Though, Tsum valley trek is recently opened up there are some tea house to spend the night and have the meal so both of this trek is possible to do as a tea house trek. Where as many trekkers prefer to do this trek as a camping (organized) trek. And Rupi Na La pass – Manaslu trek is necessary to do a camping trek for few days or a whole trekking as clients wish after few days’ mandatory camping trek. 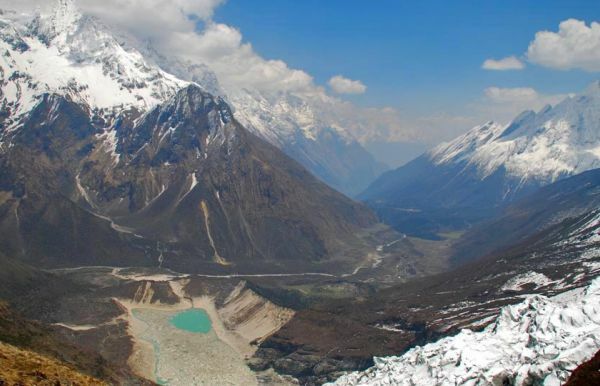 So the Manaslu trek offers the exploration of beautiful landscape, waterfalls, encounter with friendly local people, and exciting passes of Larke Pass 5216 m. And the beautiful valley which was uncovered since very long time by the other world- Tsum valley trek is another great choice to add on the bucket list. Tsum valley trek doesn’t have high passes and the highest altitude of this trek is 4000 m Mu Gompa so it is possible to do up to late December and start the trek from early February. And the Rupi Nala Pass is possible to do up to early October and March- May,so that there is no risk of heavy snowfall to change the route.